When it comes to skin care products, I prefer to try a sample first before I buy the full sizes. I tend to prefer more expensive skin care and if I don't like a product then I've wasted quite a lot of money. This is where Naturisimo comes in. The site sells a lot of natural and organic products but they also sell amazing sample sizes. You do have to buy something to be able to buy the samples which is the only downside but it's a great chance to try before you buy. The samples vary in price and although £1 might seem like a lot for a sachet you could essentially get for free, if it turns out you don't like it and have saved yourself money then I think it's worth it. Also for me who hasn't got say a Space NK counter near me, the only way to try the majority of products is to order them online. Kiss The Moon Glow After Dark Face Oil | £3 // I love the pipette on this sample and it makes it really easy to use rather than a pump. It's the small details like this that impress me. 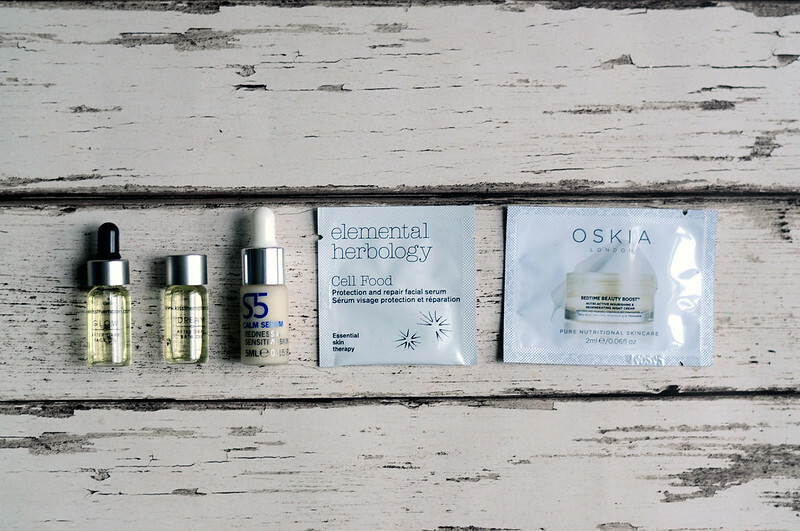 My skin has been very dry recently, more so than normal, and an facial oil is a winter essential. The full size of this oil is £48 which is a lot of money to risk on a product that might not work for you. This generous sized sample is perfect as there is enough product for you to properly test it out. Not enough to test out for three months like they say you should with skin care but enough to know if you want to buy the full size or not. While I really liked it and the effects it had on my skin, I think I'd prefer the calm version which is actually at a reduced price from Look Fantastic at the moment for only £20. Calm contains sandalwood which is one of my favourite scents! Kiss The Moon Dream After Dark Bath Oil | £3 // Although technically not a skin care item, I love bath oils so this one from Kiss The Moon had to be added to my order. It's about the same size as the smaller bottles from Aromatherapy Associates which I can usually get a couple of baths out of. This is the only sample I've tried out properly, everything else will be reviewed once I finish them in a Project Sample Use Up post. The lavender, bergamot, cedarwood and chamomile scent is nice but it's not one of my favourites. I think it's the bergamot that I'm not a fan of as I like the other three scents in bath products. It is very moisturising though and a tiny amount is all you need. Again there are other versions which I think I'd prefer but these two were the only options at the moment on Naturisimo. S5 Calm Serum | £7.33 // I've heard good and bad reviews of this serum from S5 so I definitely wanted to try a sample first. The consistency of this serum reminds me of Caudalie Vinosource Thirst Quenching Serum which is one of my all time favourites. I've only used this once so I'll update properly once I have finished it. Elemental Herbology Cell Food | £1 // The downside to this sample is that it only contains one use so I've been saving it for the right moment. This serum is designed for skin suffering with stress, seasonal changes and pollution. Anyone tried it? What did you think? 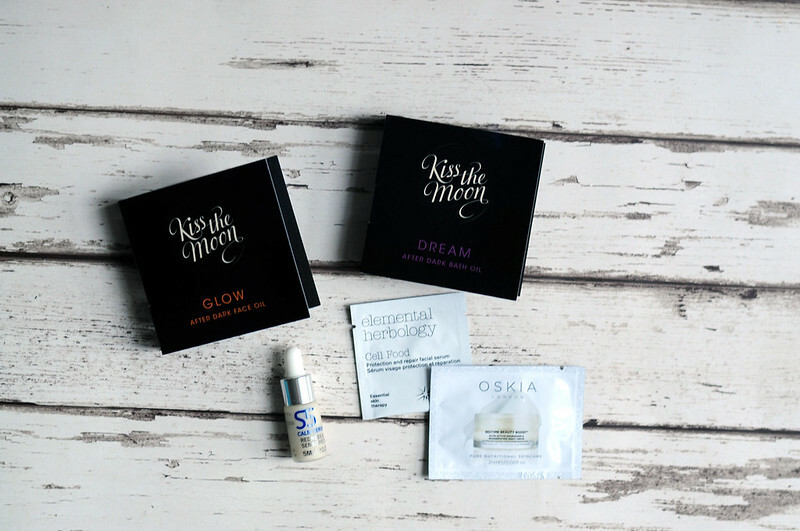 Oskia Bedtime Beauty Boost | £1 // This has been raved about by various bloggers. The full size is £78 and you definitely cannot test it out with just one use but I thought I'd get the sample anyway. If you break down the price to how much it costs per ml you're saving quite a bit as this sachet is 2ml. You could buy five sachets and get 10ml of product for only £1. If you paid the full price per ml then it would be about £15. You apply this as your night cream to boost your skin overnight. It's suitable for all skin types but especially suited dry and mature skin.